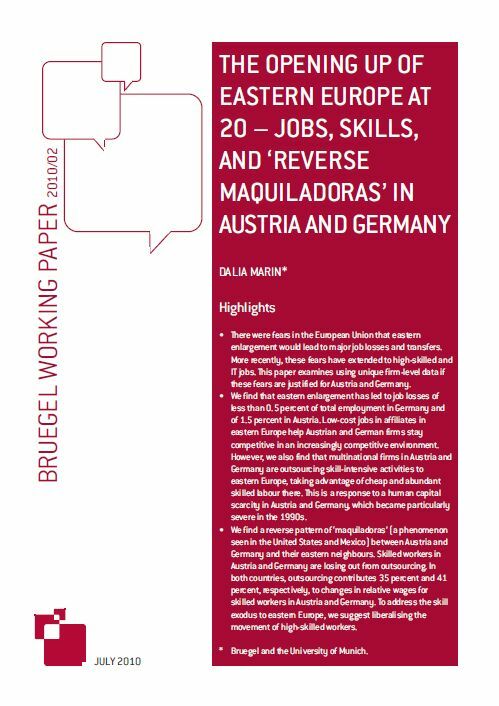 Dalia Marin joined Bruegel as a research fellow in October 2007. She holds the Chair in International Economics at the University of Munich. Her research interests are in the area of international economics, corporate finance and the organisation of the firm, and emerging market economies. Since obtaining her Habilitation in Economics from Vienna University of Economics she has been an Assistant Professor at the Institute for Advanced Studies in Vienna, Associate Professor at Humboldt University Berlin, and a visiting professor or visiting scholar at Harvard University, Stanford University, Stern School of Business, New York University, the International Monetary Fund, National Bureau of Economic Research in Massachusetts, the European University Institute, and at the Wissenschaftszentrum in Berlin. 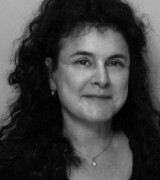 Dalia Marin is also a fellow of the Centre for Economic Policy Research (CEPR), London, and Member of the International Trade and Organization Working Group of the National Bureau of Economic Research (NBER) in Cambridge. She has been Team Leader at the Russian European Center for Economic Policy in Moscow and has acted as a consultant for international organizations such as the European Bank for Reconstruction and Development, and the International Monetary Fund. What’s the matter with Austria? Austrian firms invested heavily in Central and Eastern Europe. They offshored the parts of the value chain that required specialized skills and produced valuable research. This resulted in lowered growth in Austria. The pay gap between workers and CEOs in Germany is driven by a lack of managers. Income inequality could fall if there were more managers available for companies to hire. Firms should start hiring more CEOs who are women or from abroad. The Volkswagen scandal has raised questions about the German model of production. If the success of the company’s diesel-powered vehicles was due in part to fraudulent efforts to conceal the amount of harmful pollutants they emitted, will similar revelations at other companies call into questions the country’s transformation from “the sick man of Europe” to an export-driven economic powerhouse? 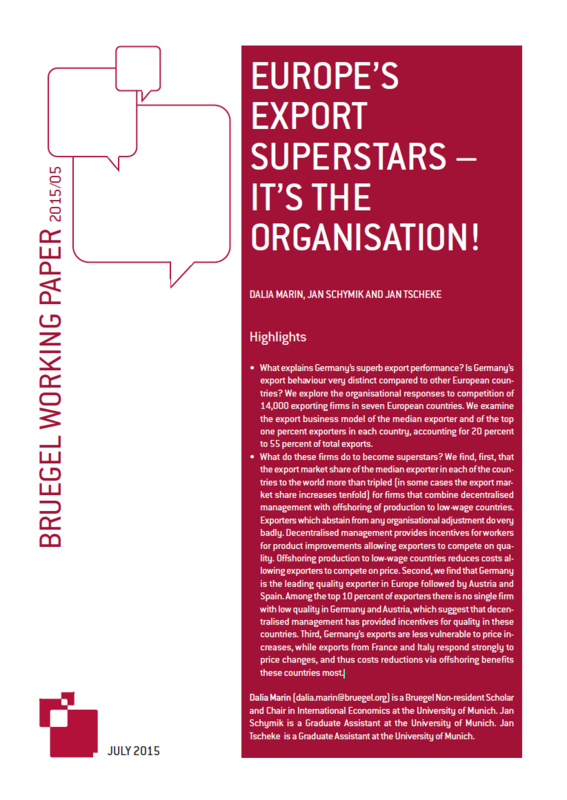 Europe's exports superstar - it's the organisation! This Policy Brief examines how Europe‘s corporations are changing the way they do business since the 2004 EU Enlargement. Dalia Marin argues that firms are adapting to heightening global competition by shifting decision-making processes. 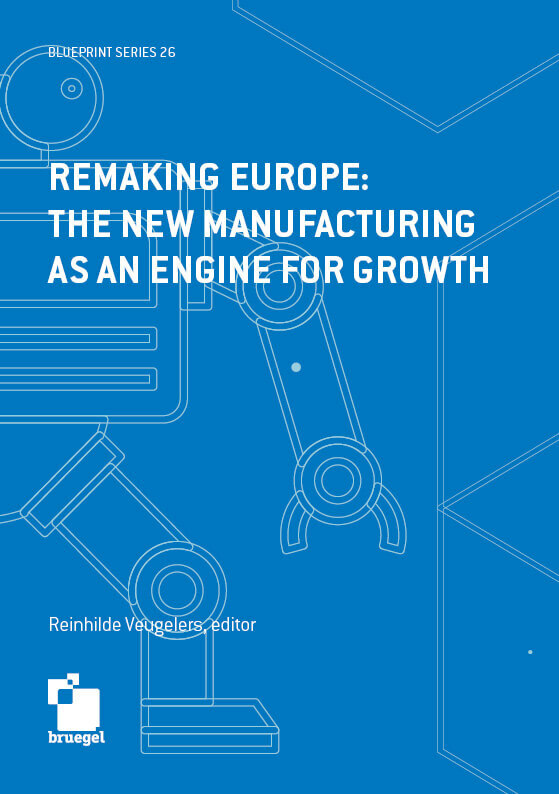 The author gives policy recommendations in the areas of EU neighbourhood and trade policies.